This sculpture is situated at the entrance to William Howe Regional Reserve. 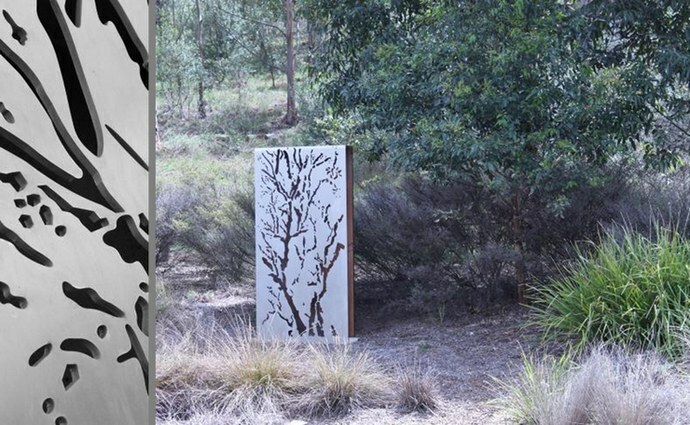 The public art work is a response to the light play through the branches and leaves in the adjacent woodland. 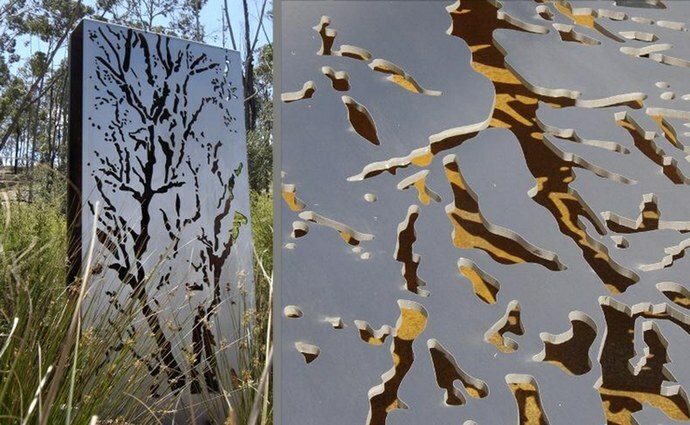 The sculpture uses rust finished mild steel and water jet cut marine grade stainless steel. This public artwork was designed and its manufacture and installation managed by Renèe Tenhave for Siteplus. 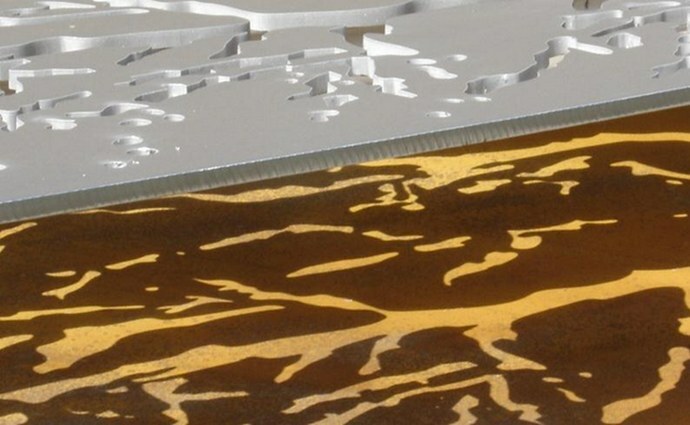 Detom Design worked closely with Renèe to integrate the structural design for this artwork.